At Tao to Wellness, we see couples at varying stages of their journey to parenthood. 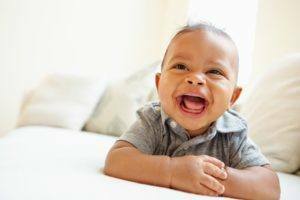 Some add our services to help them conceive naturally, while others are approaching IUI or IVF and need support in this area. We also work with women who are currently pregnant and want to prevent potential miscarriage, are experiencing morning sickness/other symptoms, have a breech issue or need induction or cervical ripening to begin labor. We work in all these areas. Whether you are going through ART or doing it naturally, the beauty and intent of Chinese herbal medicine and acupuncture for fertility issues is to ‘balance’ the body, out of that a pregnancy occurs and then birth ensues. Chinese herbal medicine, acupuncture and fertility are three synergistic forces that work together beautifully. Here’s a metaphor I like to use– A women’s reproductive system is very much like a garden. The uterus being the soil, the ovaries like trees, the follicles and eggs like fruit or in this case, oranges. If you had an orange tree planted in your garden and you never tended to it what would be the health of that orange tree? Without the proper water, sun or fertilizer would it thrive? What would the soil be like? Would it bear oranges and what would the quality be like; sweet and juicy or tasteless and dry? A women’s body and reproductive system is very similar, when it’s given the proper attention and focus it will thrive with perfect ovulations, enhanced egg quality and a beautiful lining. Chinese medicine helps deliver all the essentials needed to you’re reproductive system so that it can thrive and become ready for pregnancy. 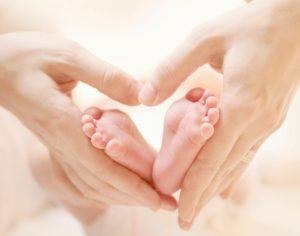 Reproductive science has given so many couples the chance to conceive when they otherwise would not have been able to. Did you know that with Chinese herbal medicine and acupuncture for fertility, you cannot only get pregnant, but increase your chances of carrying to full term? On average, couples go through seven cycles of ART before they either conceive or quit. Statistics show that women under 30 years of age have a 28% chance of carrying to full term when utilizing assisted reproductive medicine, women at the age of 39, have an 8% chance and finally women at the age 44, a 3% chance. Research shows (specifically the Paulus study done in 2002) that by adding Chinese herbs and acupuncture for fertility challenges, we can increase those chances (depending on the case and individual) anywhere from 20-40%. Another important thing to note– women are born with two million eggs, more than enough for many lifetimes! So, if there are so many eggs why is it sometimes so difficult to get pregnant? The answer lies in the process of Follicular Recruitment. 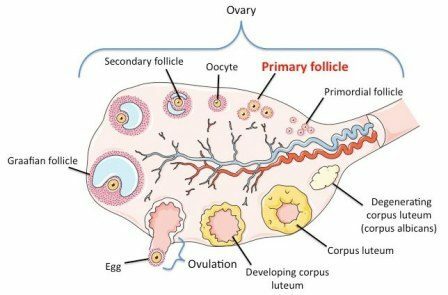 The image to the right shows the different stages of the follicle, noticed the primordial and primary follicles, these are essentially just flat cells and haven’t matured into a follicle ready for ovulation yet, but they can. Research shows, acupuncture plays a role in Stage 4 follicular recruitment, what that means is even though you may have a low antral follicle count, low AMH or have been told you have a low ovarian reserve, the answer lies in not that the number of follicles, but the development of these follicles are compromised (leading us back to issue of plentiful Yin). Acupuncture assists these flat cells to express which provides you with more opportunity and better quality follicles which leads to better quality eggs for conception. Clomid and Femara tend to dry Cervical Mucus (Yin) in the body. Fertility acupuncture and herbs can help lessen this side effect without affecting the benefit of medications. For women with a history of responding poorly to medications, herbal medicine and acupuncture for fertility paired with detoxification is recommended. At this stage we are preparing your body or the vessel to carry this pregnancy to birth, remember getting pregnant is part of the journey, having a healthy baby is the goal! Miscarriage rates are higher when hormonal stimulation (medications in IVF) has been used so again it is highly recommended to use acupuncture while you are going through these procedures because preventing pregnancy loss is also an area where Chinese medicine is applicable. We will commonly see a patient up through their first trimester, with weekly fertility acupuncture & sometimes herbs we can create more blood flow to the uterus which can help in implantation & normal growth of the fetus, deterring miscarriage. Here are some helpful research studies and papers concerning acupuncture and fertility/virility. Acupuncture improves ovarian blood flow. Steiner J Appl Physiol. 2006 Jul: 101 (1): 84-91. Epub 2006 Mar 2. We are looking forward to helping you on your journey to parenthood!